I’m sitting here sipping coffee from a yellow polka dot mug. As I sip the warm Hazelnut coffee with heavy whipping cream (my favorite!) I’m thinking through how I can most bless you through this income report. If I were just starting out, thinking about starting a blog, what would be the most helpful tip? One word came to mind: community. And as I sit here pondering, I’m fairly certain that’s the best answer to most of life’s challenges. Because community, regardless of the challenge, can help you figure out where to start, support you on your journey and celebrate with you when you’re victorious. But finding the right community is the tricky part. When I first started blogging, February 2014, I spent several months searching. I was searching for answers, even though I didn’t know what my questions were yet. I ended up at a blog conference, I can’t remember how I heard about it or why I chose that particular conference but I’m so glad I did because it would quickly become the turning point of my blog. But not for the reason you would think. While the lectures were good, I can’t remember any big Ah-ha moments or big life changing lessons instead I came away with something entirely different but even more crucial to my blogging success. Relationships, community, networking and support are not talked about often enough when it comes to online income reports and the part they play in the success of each blogger. 99% of the time they play a crucial role. The relationships I made weren’t formed overnight. The seeds were barely event planted at the conference itself. I had 2 separate, equally brief, moments of exchanging business cards with 2 particular people. They could probably be recorded as some of the shortest startup conversations I’ve ever had. I met both in small little pockets in between lectures as we moved tables, both conversation ended fairly quickly and I left feeling defeated and disappointed. 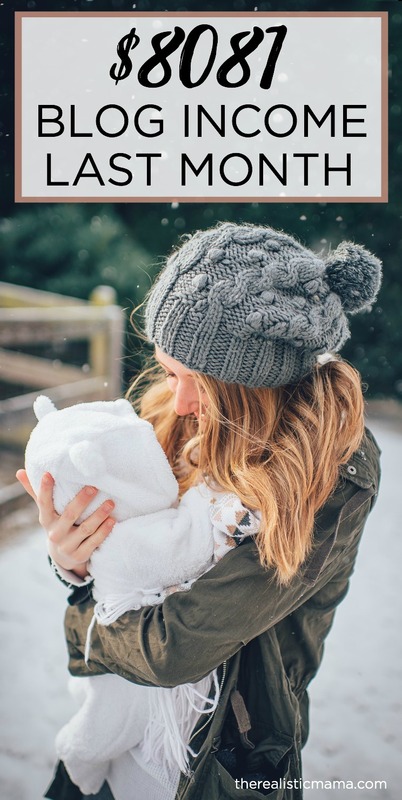 While most everyone was using the dedicated mingle time to create conversations and deepen relationships with new connections, I was rushing off to nurse my 5 month old babe. Those were the cards that were dealt to me at the time. It was either coming to the blogging conference with my husband and baby in tow (hanging out in the neighboring hotel) or no blog conference at all. It wasn’t until days after the blogging conference that the relationships slowly started to bud, I sent each one a Facebook message and slowly started to connect. The story goes on from there but one of the particular connections was someone who pushed me on several different occasions to improve my images, which sounds like a small little detail but that detail is what took me from 2,000 readers a month to 100,000 (and up from there). Relationships are needed for success. They are what push you to the next level and help you when you’re feeling stuck. Most of us have heard the expression, we are the average of the five people we hang out with but have we taken it to heart? Who are your five people? Are they supporting you and pushing you to reach for more? The need for the right relationships is actually a big reasons why I build community into the Successful Startup course. I’m not here to sell you on the course. My intent is to help you figure out what’s right for you, what’s your calling, what’s your next move and who are the people you need to make that successful? 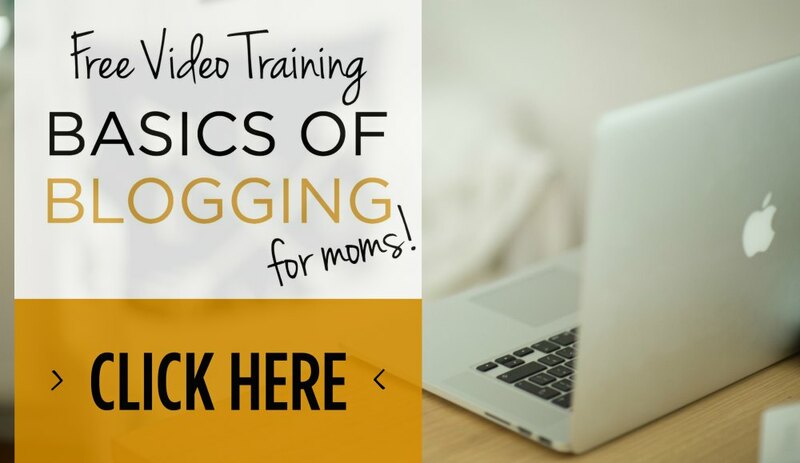 To help you figure out the first few steps and test the waters, I created a free 4-part video training, Basics of Blogging. It’s free, so why not? Click here to join Basics of Blogging. Now, let’s fast forward 3 years from that blogging conference and chat about my income report this last month. In March 2017, we made $8081. Let’s compare to the month before. March was up $2772 — I’m obviously super excited about this. You can read past income reports here. 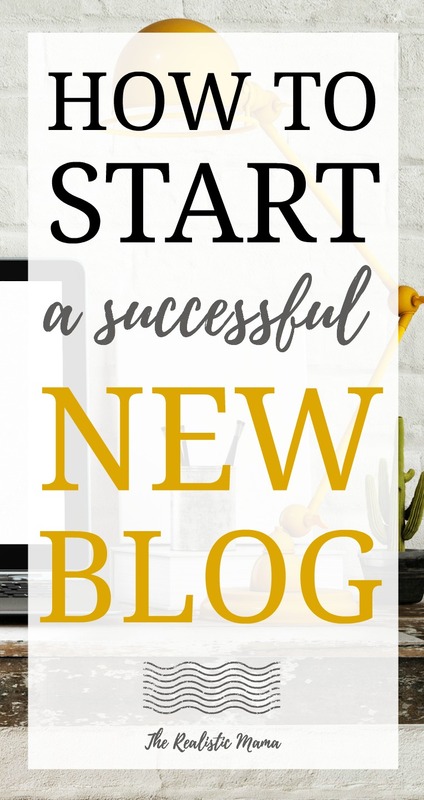 The first step to starting successful blog is simply starting. And then letting your determination and your desire to continue to push you until you find the success that’s out there and that you’re looking for. Affiliate Income: $1456 — This is income I earn by recommending stuff I adore — companies give me a small percent as a thank you for referring customers to them. And the price of the product is the exact same for my readers. Display Ads: $2239 — These are the advertisements that you see on my site in the sidebar, etc. Sponsored Work: $2085 — Depending on the month this is a mix of sponsored blog posts, like this one, and sponsored shares on social media. My Book, 175 Best Date Ideas: $339 — I didn’t write a book until month 24 of blogging but now that’s it’s done it’s almost entirely passive income each month. Successful Startup: $1962 — A course for moms on how to establish the right foundation for successful, highly-profitable blog. Helping you create passive income so you can spend more time with your family. Additionally, expenses are currently around $900-$1000 and we set aside money for taxes each month, too. March was a great month and I could not be happier. If you’re interested in starting your own blog, check out my How to Start a Blog post or join my Basics of Blogging video training. How Many Hours Do We Work? As far as how many hours we work each week, we’re finally starting to figure out a consistent routine. It got a little tricky after we sold our house in September and started traveling in our RV. Good news though, we close on our new house the beginning of May and then we’ll adjust again but it should be an easier adjustment. Corey currently works around 5-10 hours a week on the blog, I work around 15-20 but am working on setting myself up to be working less in the future. My goal it to continue to provide enormous value to this tribe without taking away as much time from my family. That’s the beauty of passive income. I love being both a mom and blogger but I’ll always be mom first, blogger second. I’m learning that if you believe then it can be done and I’m excited about the possibilities ahead. Monday — Corey and I have a weekly meeting together in the morning while someone else watches our kids. Depending on the week one or both of us might work during the kids nap time in the afternoon. The rest of the week the kids are either napping, learning to play quietly on their own (still learning this one! ), or hanging out with Corey and me while the other works. Tuesday — I work roughly 4 hours in the morning (ideally 8-12) and then sometimes another hour or two in the afternoon while the kids nap. Wednesday — I take the morning off and work about 2 hours in the afternoon during naps. Corey sometimes works in the morning or other weeks we do something as a family, like an adventurous outing. Thursday — I work roughly 4 hours in the morning (again ideally 8-12) and spend the kids nap time wrapping up the week. Corey’s schedule is a little more flexible than mine and he fits his stuff in around me and the kids this day. Friday — Is currently our flexible day. It looks different every week. Now, it’s worth noting, that before the blog was making enough for Corey to quit and work at home my schedule looked VERY different. I did what I could and that meant, I worked roughly 9pm – 2/3am and here and there during nap times. If you want something bad enough, you make it happen. Whew! That wraps it up, my polka dot mug is almost empty and I’m headed off to spend the afternoon with my family out-and-about. Have a beautiful day and, don’t forget, I’d love to have you join my free Basics of Bogging training. This is such a helpful, interesting blog. It’s practical and yet written in a loving, supportive way. What an awesome story! I love how much you tell us about your journey and your typical blogging day! I just started blogging and I’m a stay-at-home mom and I hope one day to have what you have!